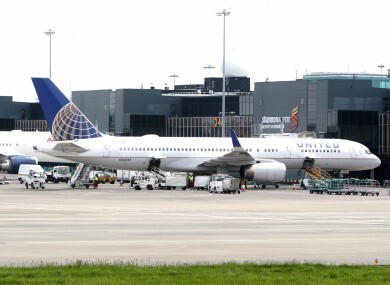 SHANNON AIRPORT SAID it is “disappointed” with the news that US airline United will suspend operations on its New York route for the winter months. The carrier currently operates a daily service from the airport to Newark in New Jersey, a short distance from New York. The airline has confirmed however that the service will be suspended from November 26 to 10 March because of a drop in demand. While management at Shannon have expressed disappointment at the news, the airport still operated the highest number of transatlantic services in 17 years in 2017. United had operated the only year-round service from Shannon to New York until earlier this month when Irish-based low-cost carrier Norwegian Air International entered the market. Norwegian Air International will now be the only airline to serve New York during the period of January to March 2018. The carrier will fly between Shannon and Stewart International Airport, about 110 kilometres north of New York. United will suspend its Shannon-New York/Newark service during the upcoming 2017/18 winter season, November 26, 2017 to March 9, 2018 inclusive (westbound), in response to a seasonal reduction in market demand. The service will resume effective March 10, 2018 (westbound). “We will contact customers with bookings for flights during the service suspension to either offer them alternative travel plans or provide refunds. We apologise for any inconvenience caused,” the carrier said. “We remain very committed to working with them and our other airline partners to continue to provide services and access to key markets. Maximising the potential for Shannon will continue to be a priority,” the spokesperson concluded. Email “United suspends its New York route from Shannon Airport for winter ”. Feedback on “United suspends its New York route from Shannon Airport for winter ”.